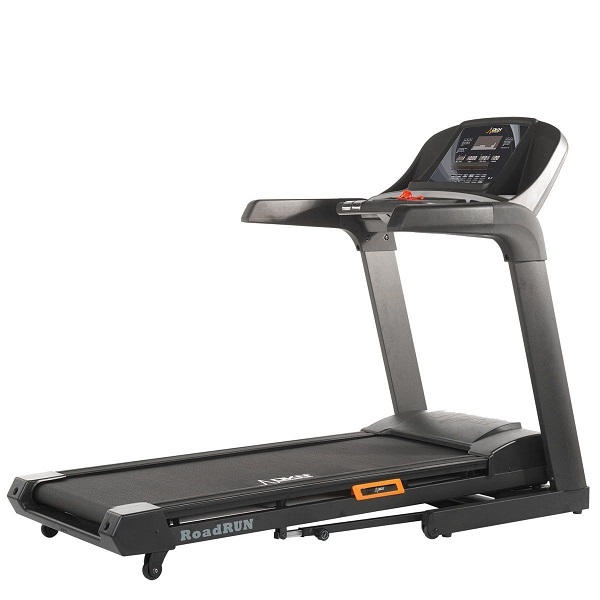 Reebok have been making treadmills for a long time now and while the first generation of machines from them didn’t really come up to scratch that was many years ago now. 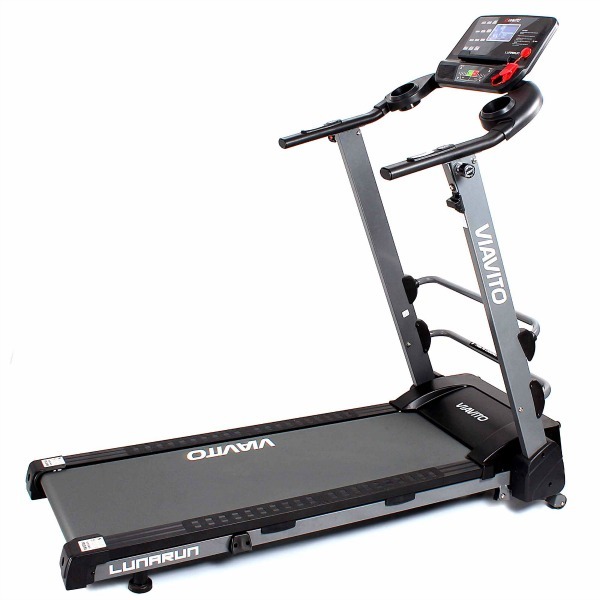 Since then they’ve consistently produced some of the best value for money treadmills on the market. The TT3.0 is set at a premium price point which isn’t very familiar territory for Reebok so we were keen to see exactly what you get for your money. Like the other assembly manuals in their range, Reebok have done away with the idea of words and diagrams and have instead opted for a series of really clear photographs to show you what needs doing. This approach works very well indeed and we can’t really think of anyone who would struggle to assemble this machine (though you do still need 2 people). With the treadmill being part-built out of the box, completing the build took around 30 minutes and there were no hiccups on the way. Nice and simple – just the way it should be! In terms of appearance the TT3.0 looks great. The black design with red and white touches looks sleek and modern. In your reviewer’s opinion, this is a great looking machine that’ll fit into any surroundings. It’s a really nice move away from the traditional, dull, grey many manufacturers opt for. It looks nice and chunky too which is always a good sign. Moving away from aesthetics and onto the bits that count the TT3.0 is powered by a hefty 3hp continuous duty motor. Due to its size, the motor makes light work of driving the belt up to 20 kph (12.4 mph) and is nice and quiet too. This sort of speed will be plenty even for serious, experienced runners let alone your average user, so no problems on the speed front. 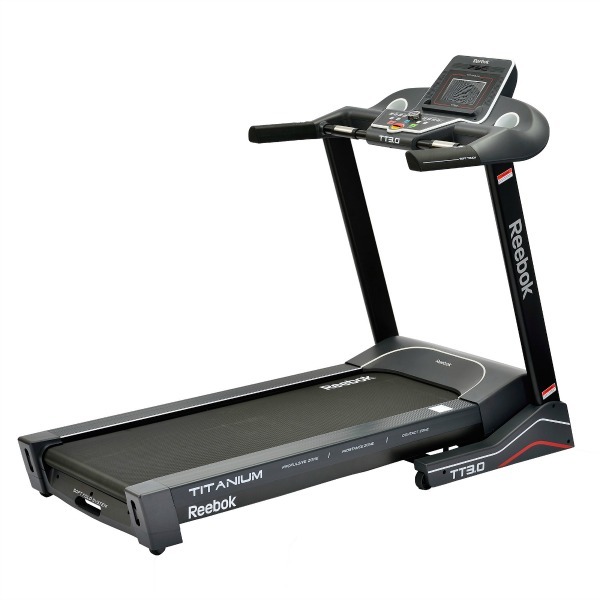 At 51cm x 150cm (20” x 59’’) the running area is really spacious and combined with the large rollers and Reeboks Triple-Flex cushioning system which mimics the type of cushioning found in high-end commercial machines, the TT3.0 is really very good to run on. The cushioning system ensures a soft landing and a firmer push off so you get the best of both worlds. 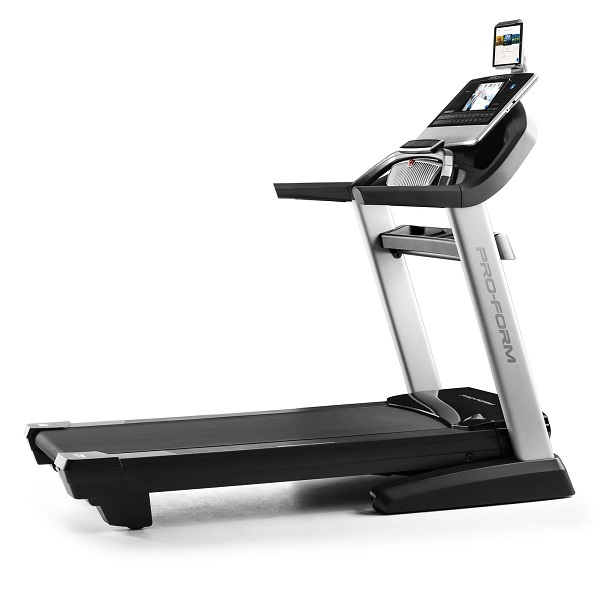 There are 16 levels of incline with controls on the handlebars and instant access keys on the console so it’s easy to quickly get to the incline level you want during a run. 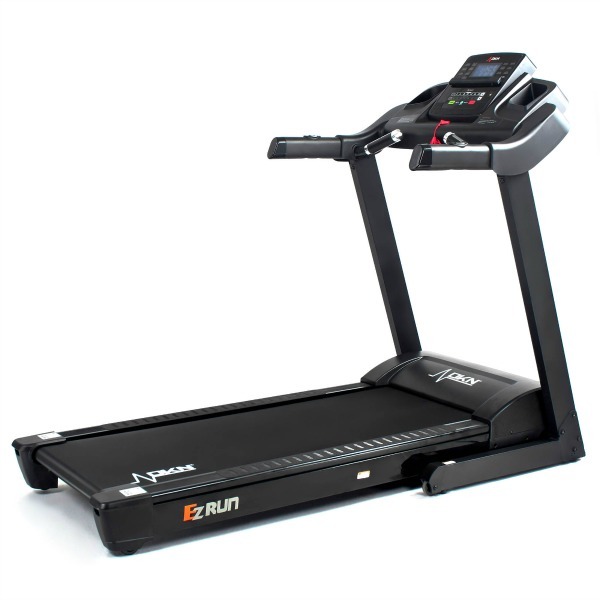 We found the transition between levels is fairly quick making this machine suitable for interval training for most people. 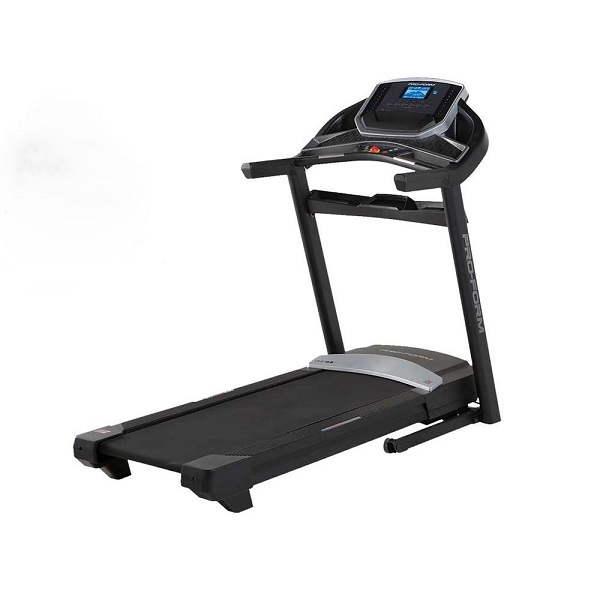 The top level of incline isn’t as steep as some other models out there but it should still be steep enough for anyone that’s likely to be using this treadmill. There are plenty of workouts to choose from and accessing them is really very quick compared with most other machines out there. This speed of access is achieved by the inclusion of the ‘i-Drive’ button which is essentially a dial. Turning a dial is far, far quicker than repeatedly pressing the ‘up’ or ‘down’ buttons to scroll through the available programmes and it really does make it quick and easy. Another benefit should be (in theory at least) that it lasts longer too as mechanically it’s a lot kinder than repeatedly clicking a microswitch to get to the programme you want. In terms of programmes the TT3.0 has a lot to offer. The 6 preset workouts are divided into simple groups: 3.5k walk, Hill Climb, Hill Run, Interval, Rolling and Weight Loss. All very simple and easy to understand. It’s also possible to set the intensity of each type of preset workout and this really does provide a lot of flexibility which should prevent things from getting stale. Another way of mixing up your training is the random programme feature. Again this is really very simple in its design. Select the intensity you want (there are four levels to choose from) and the console will deliver a random programme at that difficulty level. We think this is a really quite interesting feature and while we didn’t have time to test it over a period of a few weeks this should ensure that you don’t get bored and we really liked the simplicity of the idea. In addition to the presets you can create 4 programmes of your own design. This is made easier than on most other treadmills again by way of that dial that’s so central to everything on this tread. Heart rate training can be done either as a percentage of maximum heart rate, or by entering a specific BPM figure and there’s also a body fat function which is useful if you don’t already have a set of scales that does this. 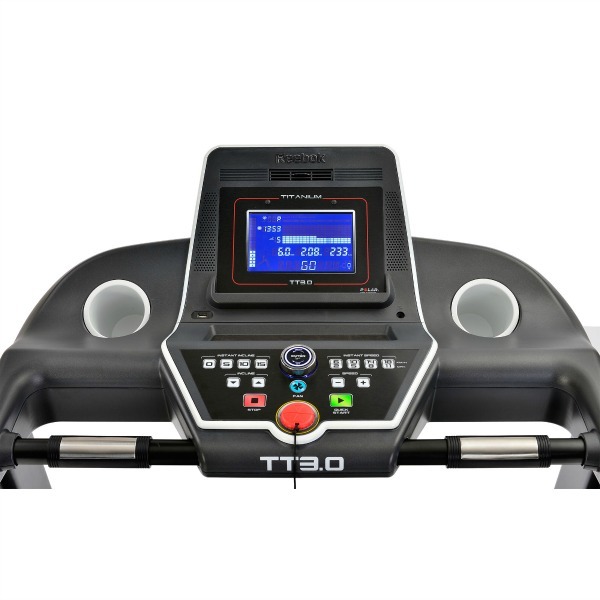 There are a whopping 5 user profiles on the TT3.0 which is very unusual, not to mention refreshing, as most other machines usually offer just 2 which often isn’t enough for a family treadmill. Setting these up is simple enough and definitely worth doing as the computer uses your personal information to improve the accuracy of the training data, such as calories burned. There’s also a USB port built in which you can use to charge your tablet/phone, though it doesn’t connect to your device in any way. But before you get disappointed with this the TT3.0 does have a trick up its sleeve. The fact that more and more manufacturers are incorporating interactive features into their machines hasn’t been lost on Reebok so the TT3.0 has been fitted with a BlueTooth receiver to allow you to connect a smartphone or a tablet to it! Nice 🙂 Just download the free 3rd party app (Run on Earth) and connect your device. Hey presto you can now map out your own running routes using Google Maps! This is lots of fun and works pretty well just don’t expect 1080p hi-def video – it’s Google Maps and a series of still pictures at street view level, or map or satelite view. Still, it’s fun and a nice feature to have. Run On Earth is a 3rd paty app, to find out more just look them up on the Apple or Android stores. Going back to the console on the treadmill, the back lit LCD display is nice and clear and provides all the usual feedback you’d expect to see including calories, speed, incline and so on. With a 10 year motor, 2 year on-site parts and labour warranty, lots of functions and a really nice running area the Reebok TT3.0 is a solid piece of kit. 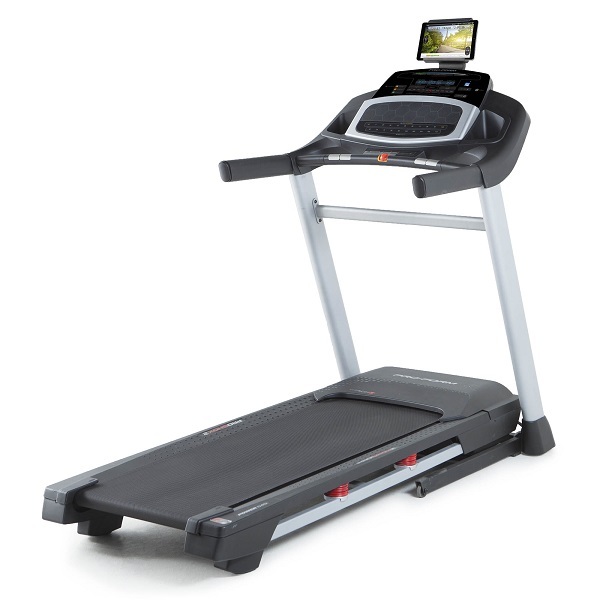 The TT3.0 is a very nice, solid treadmill that's good to run on. It's also packed with features, has tablet/smartphone connectivity for interactive training and a really logical, easy-to-use console. The major issue is the lack of value for money! For a lot less money, you can pick up the DKN RoadRunner I with its orthopedic running belt and highly responsive deck. 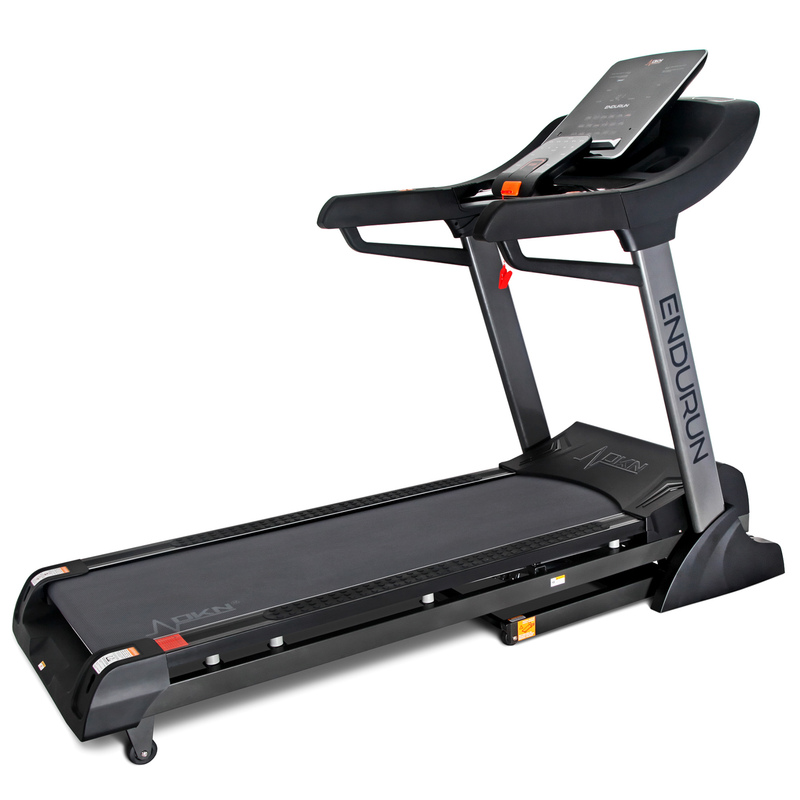 Another one to consider would be the impressive Proform Pro 5000 treadmill.